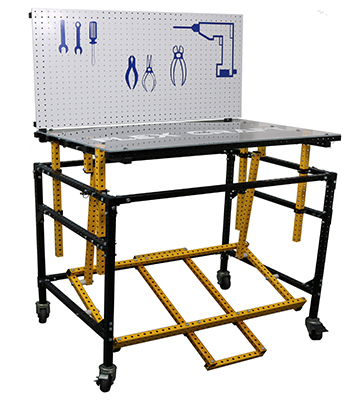 Mobile offices can be placed virtually anywhere on the shop floor. The photo shown above is a double office for the Operations Manager as well as Engineering. Modular Desks are becoming more and more popular. Add drawers for storage, keyboards, etc. 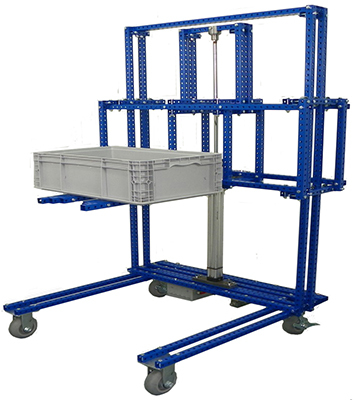 Add an ergonomic lift to any desk to provide options for your employees to sit or stand at their desk. 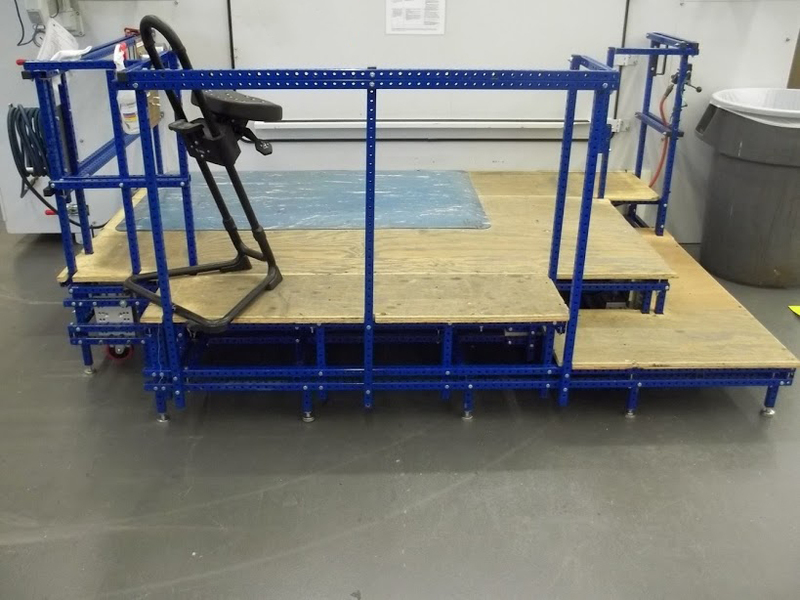 Installing an air cylinder in a horizontal position, and with the assistance of skate wheels, a pneumatic scissors lift was created. Using bolts as a hinge on both external sides. All common fasteners. With the addition of an electric air cylinder, we were able to put our idea into motion...literally. 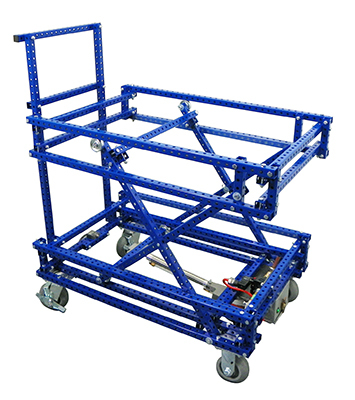 For light duty applications where bending and lifting can be eliminated. 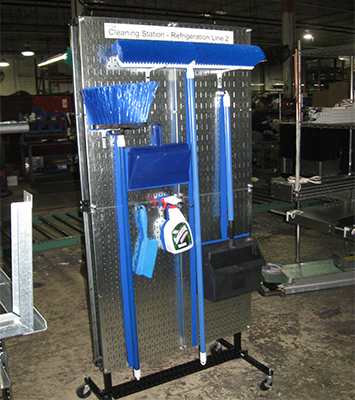 Mobile cleaning station that can be moved where it is needed or stored in a designated area. Avoid leaning your cleaning equipment against your workstation or wall. Ergonomics in the workplace is gaining popularity among employers. With the ability to adjust the work surface height by simply stepping on the crossbar allows the surface to raised allowing a variety of positions to help with posture and eliminate fatigue. 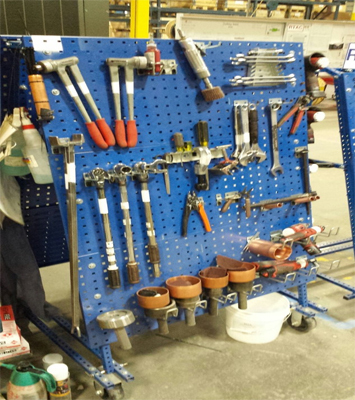 This partner created a Mobile Tool Board. 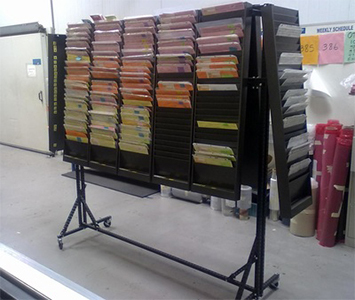 Employees are able to organize the the tools that are needed in their day-to-day function in the order in which they are used most frequently. In making it visual, there is a home for every component. 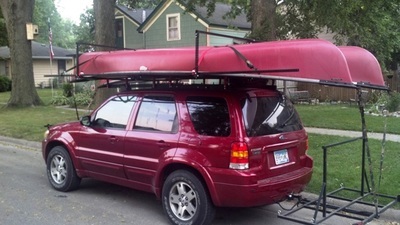 This cuts down on misplaced or lost tools that can be expensive to replace. 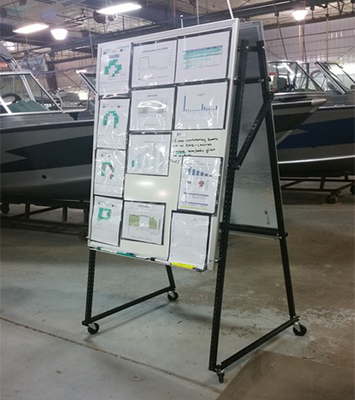 The above A-Frame style white board is utilized as as a Work In Progress identifier. Making project or reports visible increases communication between employees and management. Strong, organized and mobile. 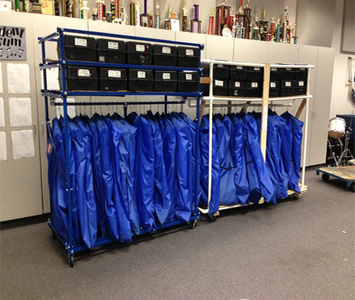 Whether its employee uniforms or safety wearable equipment, organization by size, function, etc is a breeze. 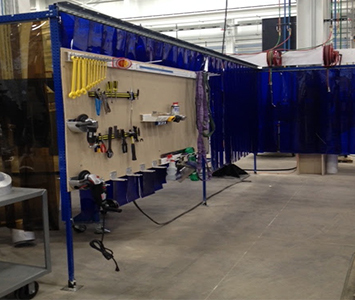 Safety in today's manufacturing environment is of upmost importance. 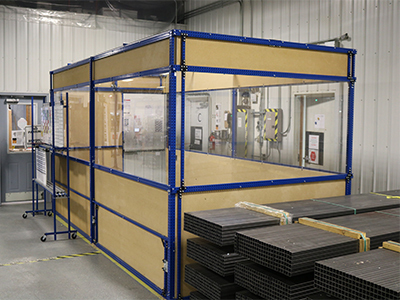 Pictured, Flex Craft Framing was used to provide a safety barrier framework for a cutting station. Using this sort of barrier framework aids in containing fragments into one area. Organize and Highlight the day or weeks jobs that need to be completed. Color code based on department. 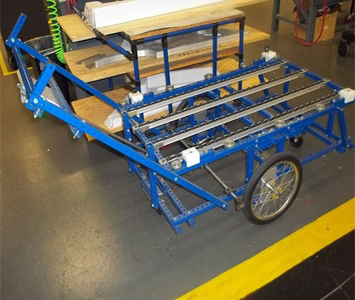 This Rickshaw Cart is an excellent way to relocate product or parts from one area to another. With it's Micro Wheel surface, no heavy lifting needed. This platform was introduced as a way to create separation validating an area. Use a meeting platform for on the floor meetings or a stage. Built by Flex Crafts own, this storage system made a round trip from Houston MN to Crane Lake MN. Over 15 hours of travel and 800 miles traveled. 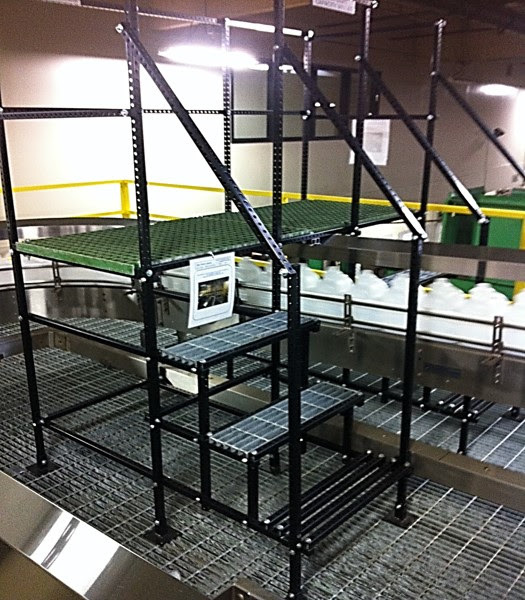 This Staircase was implemented to allow the operators to walk over the top of a long conveyor line. The structure reduced hundreds of steps made daily.